With the Wimbledon finals taking place on its famous grass courts this weekend, allergy expert Dr Mohamed Shamji explains how there may be hope for hay fever sufferers. 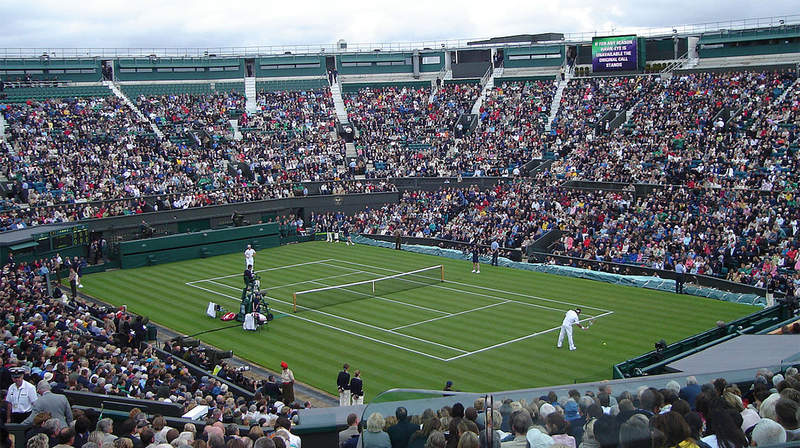 Strawberries and cream, queuing and of course, tennis are all the things you would associate with the Wimbledon Tennis Championships that climaxes this week in London. This tournament traditionally marks the end of the grass court season, which for the relief of many hay fever sufferers also signals the grass pollen season is drawing to a close. 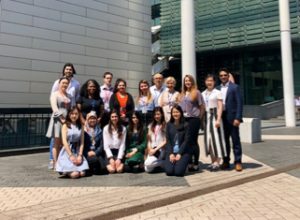 Headlines, guidance and warnings about hay fever are abundant at this time of year due to the large socio-economic impact it presents and here at Imperial College London, we are hoping to reduce this through our research into the disease and how we can treat it. Allergy can affect people from all walks of life – including the Royal Family, with Catherine, Duchess of Cambridge noted as being allergic to horses and Queen Elizabeth II to cat dander. Tennis legend, Pete Sampras has 64 title wins to his name, including seven at Wimbledon, despite being an allergy sufferer. This is an incredible achievement as the symptoms of hay fever can be debilitating and was blamed for Leyton Hewitt’s first-round Wimbledon knockout in 2003. The first description of hay fever as a disease was made in 1870 when hygiene standards in the western world were increasing rapidly. The word ‘allergy’ that we use today was first coined by Austrian scientist Clemens von Pirquet in 1906, derived from the Greek ‘allos’ meaning ‘other’ and ‘ergia’ meaning energy, to describe the different nature of an allergic reaction to a normal immune response. Here in London at St. Mary’s hospital, research into allergy expanded, with scientists Leonard Noon, John Freeman and William Frankland demonstrating immunotherapy in 1911 – a novel way to treat allergy. Westernised societies are currently experiencing an allergy ‘epidemic’ where the number of people diagnosed with allergic symptoms has increased rapidly throughout the 20th century. There are many kinds of allergies: food (peanuts, shellfish) pollen (grass, birch), animal dander, dust and even medicines. When a sufferer comes into contact with these allergens, symptoms such as sneezing, swelling, itching and even anaphylaxis can occur. Foods can typically be avoided, whereas allergens such as grass are more difficult to evade. Exposure to allergens can have a major impact on the quality of life of hay fever sufferers making them inefficient at performing their day-to-day duties. Congestion can make it harder to breathe and reduce the quality of sleep, leaving sufferers fatigued. This can reduce performance at work and lower grades at school leading to poor self-esteem and emotional problems, requiring therapeutic intervention in the form of anti-histamines, corticosteroids and in severe cases immunotherapy. Allergen immunotherapy treatment for summer hay fever can be administered either by injections or by sublingual tablets (taken by holding under the tongue). This treatment involves injecting incremental doses of grass pollen allergen, which causes the allergy symptoms. These allergens are identified by a combination of medical assessments performed by a consultant allergist or immunologist along with allergy skin or allergy blood tests. The treatment begins with a build-up phase. Incremental doses of the sensitising allergens are administered for a period of several weeks until the target dose is reached, which varies from person to person. This is then followed by high dose monthly injections for a period of three years. The sublingual tablets treatment does not require a build-up phase and needs to be administered daily. Some people have lasting relief from their allergic symptoms, but others may relapse after treatment ends, so the duration of allergen immunotherapy varies from person to person. It is noteworthy that immunotherapy can cause serious life-threatening anaphylaxis. Therefore, it should only be administered under the supervision of a medical doctor or qualified nurse practitioner in a facility properly equipped to identify and treat adverse reactions to allergy injections. When you come into contact with an allergen a chain reaction is set of through your body’s cells. In our research, we trigger this pathway to desensitize a patient’s response over time and lessen their allergic reaction. During the initial sensitization phase (Fig. 1, left court) in patients with hay fever, low allergen exposure in your nasal cavities (nasal mucosal surface) results in activation of nasal epithelial cells, which then activate dendritic cells. 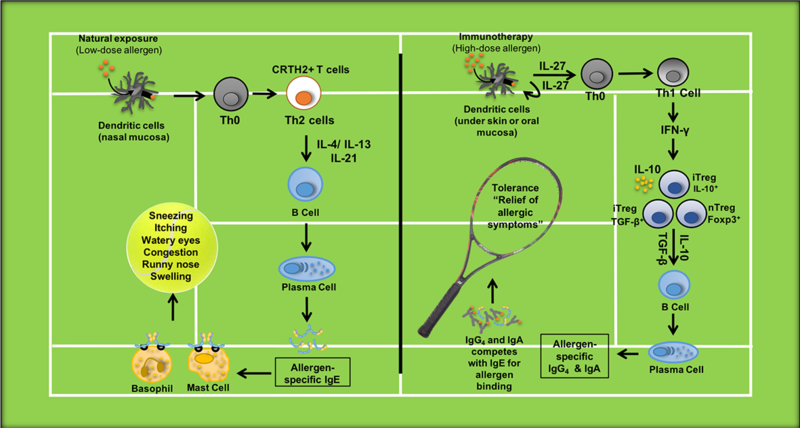 Dendritic cells in turn uptake and present the allergens to naive T cells to induce allergic type II helper T cell (TH2 cell) – their response is to release proteins called cytokines. These cytokines then act on B cells to promote the production of the antibody IgE that results in activation of mast cells and basophils, releasing mediators such as histamines that trigger the start of an allergic reaction – perhaps with a sneeze. So although for many this time of long summer nights and Wimbledon finals may be marred by their body’s allergic reaction to some of the summer’s key components, we hope that in the not-too-distant future we can provide a treatment for hay fever. Allowing you to sit back, relax and fully enjoy every game, set and match. Dr Mohamed Shamji is a senior lecturer in immunology and allergy, Head of the Immunomodulation and Tolerance Group, and Director of the Immune Tolerance Network Distributed Centre of Excellence for Allergy & Asthma at the NHLI.